Theodor Paleologu, Programme Director of the International Summer University, was recently appointed by the President of Romania, Traian Basescu, to serve as the Ambassador of Romania to Denmark and Iceland. Paleologu will officially begin his diplomatic mission when he presents his credentials to Queen Margarethe in a ceremony on December 9. 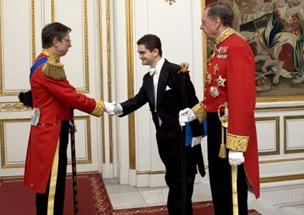 Paleologu’s ambassadorial service coincides with the entry of Romania in the European Union, scheduled for 2007. The post will allow him to participate in the collective effort leading up to Romania’s EU membership, which he views as a “turning point in [the nation’s] history.” However, Paleologu brings an ulterior motive with him into the world of diplomacy. He hopes to become “a better teacher of political science, since in this field practice and theory should not be separated.” This is good news for ECLA because Paleologu plans to maintain strong ties with the institution. He will continue to coordinate the International Summer University and has proposed a variety of block seminars for Annual Conference and the Rome trip as well as a new course entitled, appropriately enough, “Diplomacy in Theory and Practice”.